Online Poker System For Rent! For a while… Now it’s ready and live. 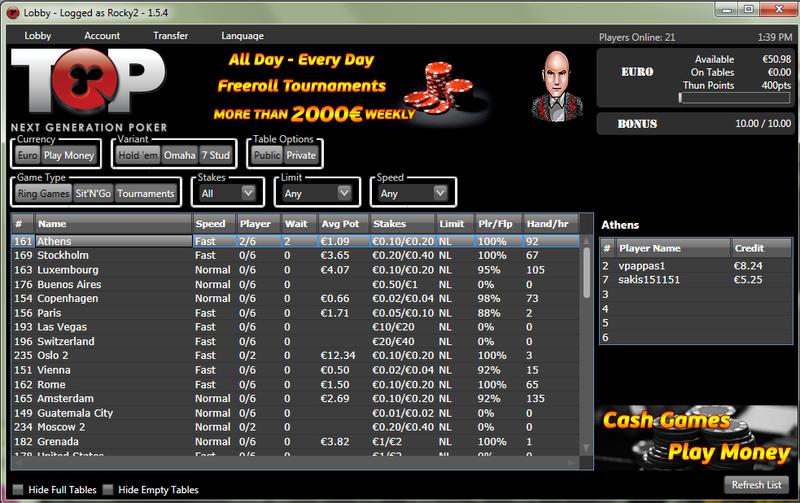 Tournaments: Freerolls, Rebuys, Satellites, SnGs, Private tournamentslayer to Player transfers. Massive Back Office with all kind of reports. Adjustable game parameters: rake, speed, # of seats, table design. Over 50 avatars to choose from. Integrated with all common payment gateways. And much more – send us a message and: get a quote, schedule a call or get a couple of player accounts to test our poker game.